This album is actually surprisingly good. Since I discovered, towards the beginning of 2015, that it was in my collection I have, on occasion, played the odd track or two while no one is listening. Moreover, I’ve actually enjoyed listening to it. Of course I have my webcred to think about. Such confessions are just between you and me dear reader so don’t tell anyone. 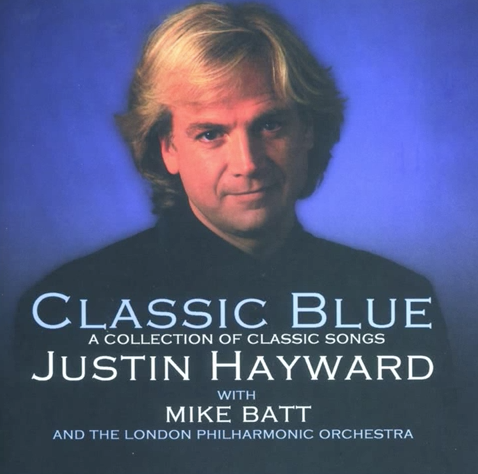 Hayward and Batt squeeze out a collaborative album in which Hayward adds his silky tones to the musical direction of Batt. Traditional and popular songs of the day such as Scarborough Fair, Tracks of my Tears and MacArthur Park get the Batt treatment. This is so close to easy listening you can smell the blue rinse. Even Hayward’s cash cow Forever Autumn gets the Batt treatment with Hayward getting his revenge on Batt’s own Bright Eyes. This is an unusual collaboration, one that works but still feels uneasy. Batt went on to produce Katie Melua while Hayward continues to milk Forever Autumn at a seaside pier near you.